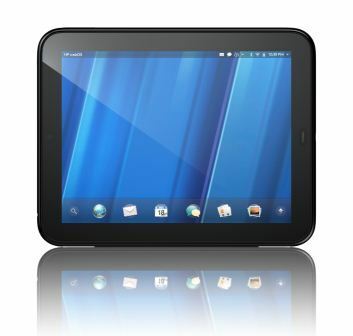 HP TouchPad price reduced to $99. When I heard the TouchPad was $99 yesterday in Canada, I should have scooped one up somehow. But I thought it would be better to just get to a store early on Saturday and experience the thrill of the chase. As I approached each store, the heart raced, but was turned down because they offered online order, in-store pickup. My only recourse was Best Buy. So I stood in line with 40 other geeks hoping to snap up one of these golden HP gems. What actually happened floored me. I’m sorry. We had to box up and ship back our stock of TouchPad this morning. What? Why? They actually had enough tablets for the first wave of people in line. Yet they couldn’t sell them? This is really disappointing. All I wanted was a fair chance at the tablet and got nothing. It’s not like the item was in recall – The device is fully functional. I couldn’t even purchase one full price. Best Buy employee said they had them in stock, but this morning were told to box up and ship back. It’s bad enough the tablet was prematurely cancelled, to offer an opportunity to people, then take it away like that is pretty sad. I understand that HP is trying to fix a bad financial situation, but they should have given us the same opportunities as the rest of the stores. Office Depot, Staples and Office Max all had TouchPad and sold them for $99 in-store. One person in line was talking about how an argument broke out at the local Staples for the last TouchPad. I am a big supporter of HP and understand what they are doing. Yet, this was a sad moment. Bad form HP and Best Buy.